Crazy about this stuff ! 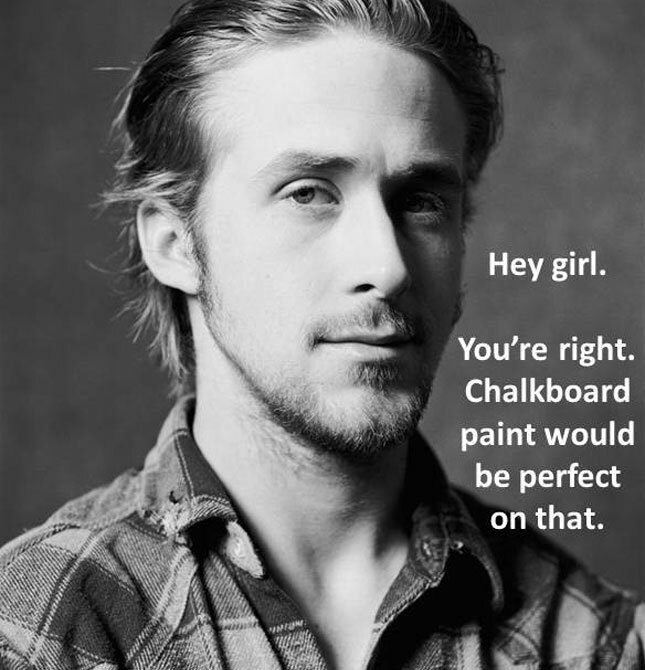 Everyone is singing the praises of chalk paint and for good reason. It really is a fast, easy way to update just about anything. Minimum effort, maximum wow factor. Here are 2 projects I worked on this week. 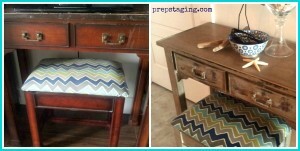 A makeover on a bench that was a tad dated, where I painted fabric for the first time with great results and a chalk board paint project on a $2 yard sale find. Check them out. 1. Soak fabric a little before painting or do as I did and thin paint with water 50/50 so it absorbs well. 2. If you want to do a design e.g. 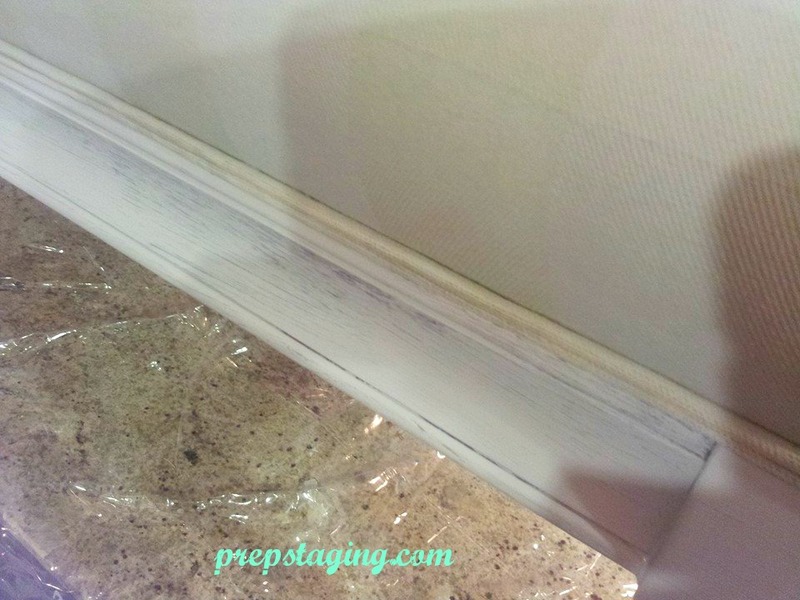 stripe, mask off the area with masking tape once the base coat is dry and apply your second colour. 3. 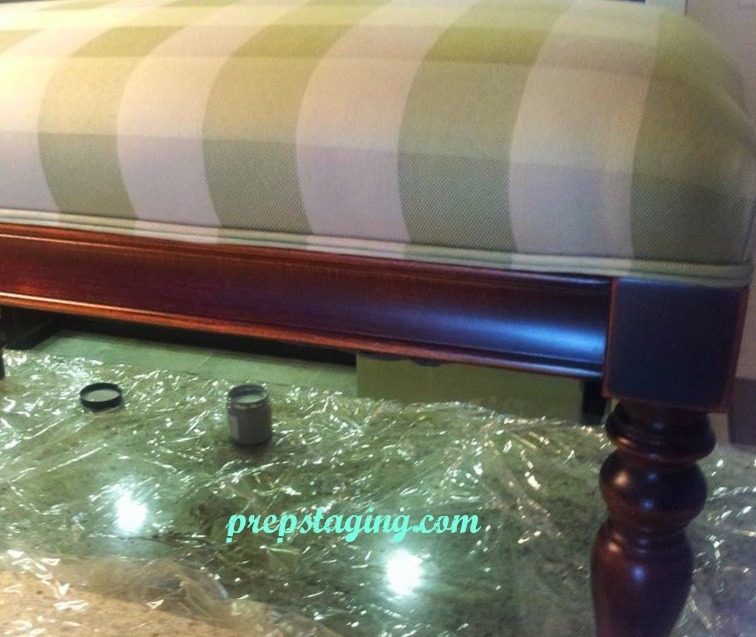 Most important step, apply wax to protect finish. 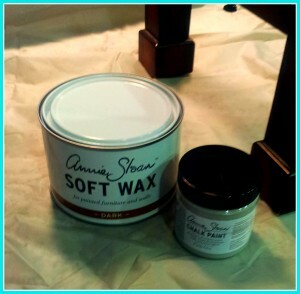 Annie Sloan wax comes in clear and dark. The clear wax only slightly darkens the paint colour and the dark is very dark and gives a more antiqued look. 4. Let the wax cure at least overnight but a couple of weeks is optimal. I buffed my bench to make sure the finish was even. Loved the shape of this urn, pattern not so much. 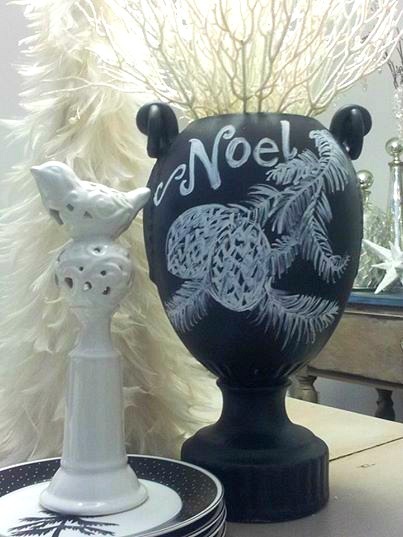 A coat of chalkboard paint later and a design drawn with a chalk pen and it has a new lease of life. There is no escaping the buzz in the crafting and diy world right now, everyone is talking about chalk paint. 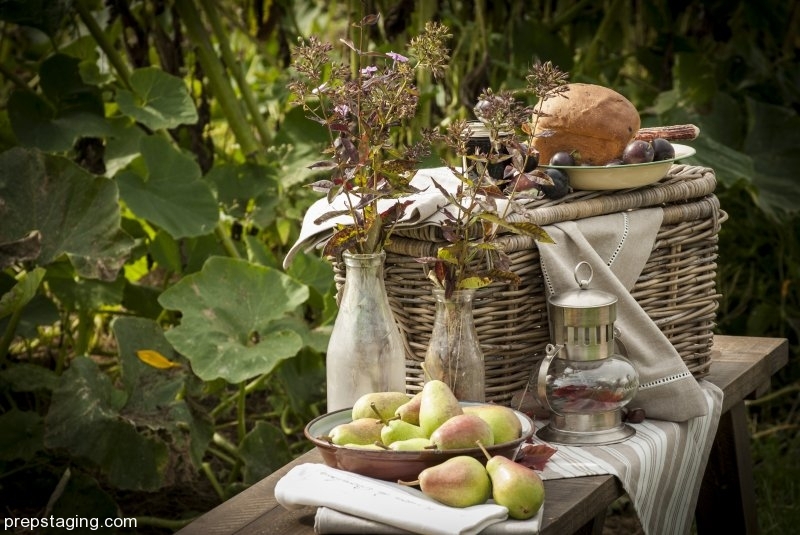 This amazing product has been around for quite a few years across the pond. 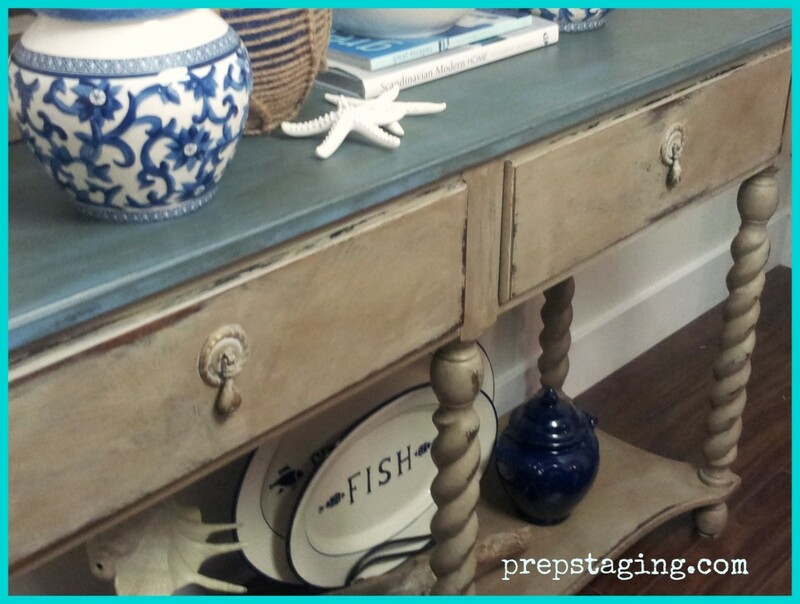 Annie Sloan in England wanted a paint that would be fast, easy and cut out the prep work of painting furniture. Smart woman. The arduous task of sanding and prepping a piece of furniture has been eliminated. You just slap it on, I kid you not. 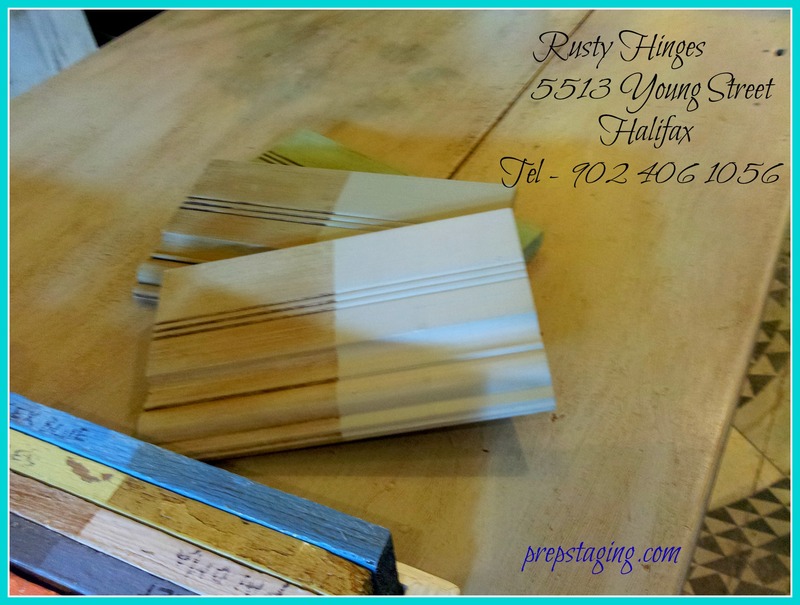 I recently picked up some of this fabulous paint at Rusty Hinges at the Hydrostone in Halifax. 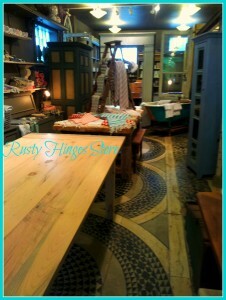 If you have never been to this lovely store you are in for a treat. 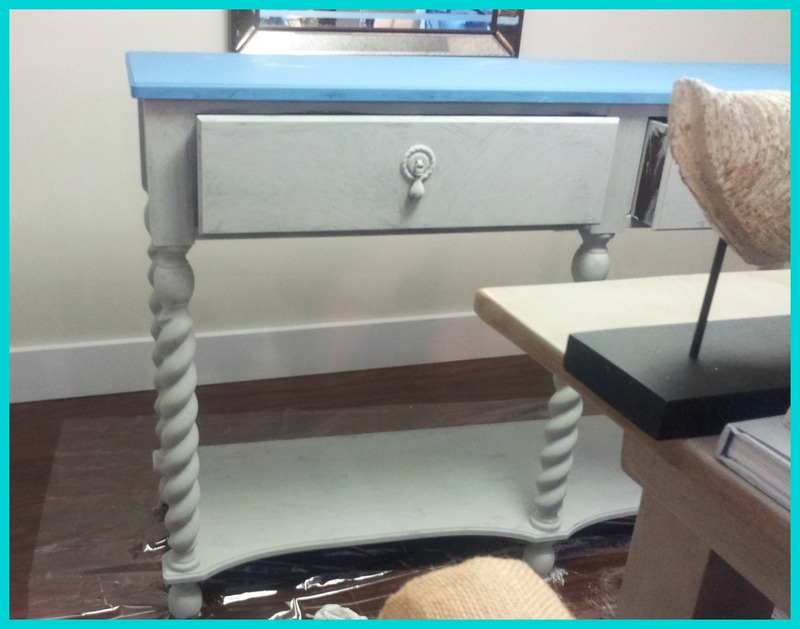 Reclaimed furnishings, linens, soaps, mirrors and of course a rainbow of Annie Sloan chalk paint colours. You can take a curb side find and transform it into a customized piece for your home, with very little effort. The furniture piece I made over recently was a Bombay Company buffet passed on from my Mother. 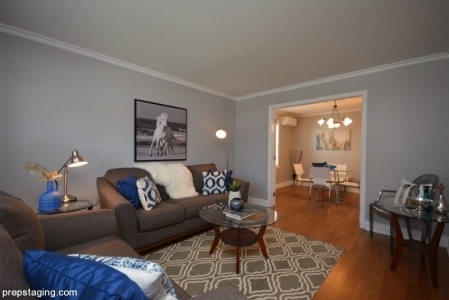 It was in great shape to start with but I wanted a new look for my dining room. 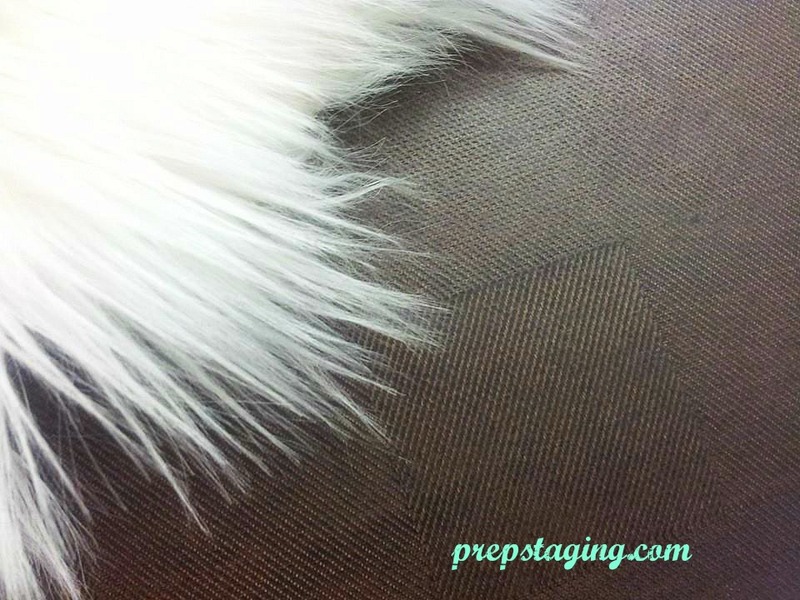 No sanding or prep needed, just wipe down to ensure no dust or sticky fingers and start applying, any which way. 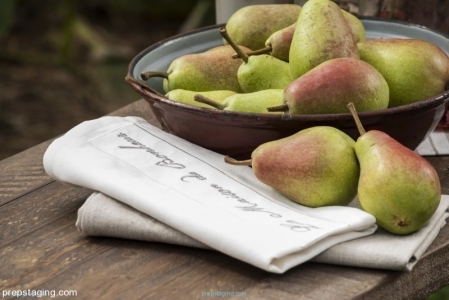 No going with the grain, you want brush strokes to show, that’s part of the rustic, shabby chic look. I chose to use 2 colours. Greek Blue on the top and Paris Grey on the base, one of the most popular shades. One coat of blue and move on to the base. By the time I had finished the base the top was dry, that’s how fast the process is. Once the piece has dried do a little bit of distressing with sandpaper. 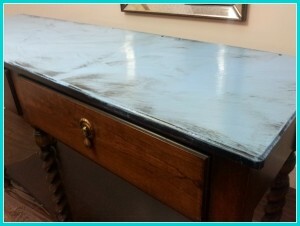 Around the corners, top of the drawers, edges, handles, anywhere you would normally see wear and tear. You can remove the hardware before painting or just paint right over them as I did. An absolute must is the wax. This is applied after the paint has dried. Available in clear or dark finish, the wax protects the piece and gives a wonderful sheen and smooth finish. It can be applied with a brush or a lint free rag ( I raided husband’s t shirt drawer) It takes a little bit of elbow grease but is so worth it. Here is the finished piece. It took about 4 hours from start to finish, so so easy and it really changes the look of the pieces. I also made over a small hall table and bench that was in really rough shape. Same technique, Paris Grey and dark wax. I added the new fabric and it makes a great place for keys in my entry way. This smaller project only took a tester size of the paint, a great way to try it out before you commit to a larger can. Here is the before and after. Rusty Hinges also runs chalk paint workshops at their store, give them a call for details, the ladies are so helpful.